It has been said that a pipe organ will serve for many decades. While the pipes can meet this longevity, the organ’s wind chest, leathers and even the console need replacement significantly sooner. Typically, when major refurbishing work is done to a pipe organ, customers also demand upgrades to the instrument in the form of modern console functions and expanded tonal resources. With today’s advanced sound producing technology, digital voices can be added to pipe organs and seamlessly integrate within a desired tonal scheme. With a cohesive tonal scheme and artistic voicing listeners find it difficult to determine which sounds on a combination organ are produced by pipes versus those produced digitally. Allen Organ Company recently completed a large upgrade to the 59 stop pipe organ at Hedvig Eleonora Kirka in Stockholm, Sweden. This refurbishment included a new four-manual console and 100 digital stops to the organ. 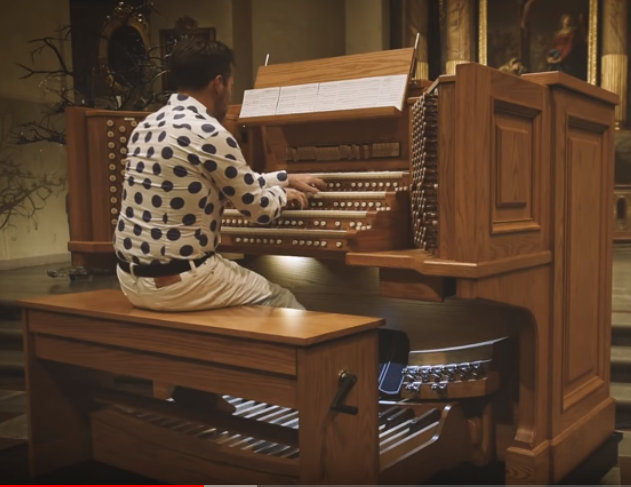 The church’s organist, Ulf Norberg’s recording of Charles-Marie Vidor 6th Symphony (link below) demonstrates the broad musical capabilities of this large combination instrument. WOW! Impressive to say the least! I couldn’t even tell when pipes were playing,and digital stops were playing,..or both playing at the same time! Seamless integration!